During crises, media communicates and amplifies certain narratives, catalyzes national security decision-making processes, and frames public discourse. The importance of news media as a stakeholder is tied to the role of domestic audience pressure. Recent analysis suggests that domestic audience pressure may be an underappreciated or alternately overstated factor in foreign policy and national security decision-making. It is unclear whether or not it constrains government decisions to escalate to war in an inter-state crisis. Understanding the evolving role of media in framing inter-state crises can shed light on the broader role of domestic audience pressures decision-makers face at home, as well as the extent to which governments use news media to convey compellent and deterrent messages to adversary states. Historically, scholarship has considered this question in the contexts of U.S. electoral politics and audience costs but devoted limited attention to the same problem set in Asian inter-state crises. Around the world, the sheer volume of the news media, from newspapers, television, and radio, to new media platforms, diffuses its role in crises, particularly in respect to how media impacts public opinion and government decision-making processes. This increased volume of noise may complicate both private and public decision-maker signaling. While media’s interface with government and society in India does not directly influence policymaking during crises, it is a key stakeholder that can shape the way in which issues are framed and news is consumed. We argue that these competing pressures among the media, government, and news-consuming public form a “self-referential cycle” to shape media narratives, especially during crises. Following a crisis event, the Indian public expects a demonstration of coherent crisis management responses, while the government seeks to simultaneously exhibit to its public and its adversaries a willingness and readiness to take action. Meanwhile, the media must contend with the oft-competing interests of safeguarding journalistic integrity, retaining readership/viewership, and galvanizing national solidarity against perceived enemies of the state. The media navigates tradeoffs in information collection, framing, and transmission while depending on the government as a prime source of information during a crisis. With information assuming a central role in crises, the media can in theory be looked to as a more independent source of reliable news. However, the Indian media’s credibility as it relates to coverage of India-Pakistan bilateral tensions has long been strained. This is due to its own limited agency, pushed and pulled by exogenous factors. During crises, three factors instrumental in molding the media’s informational role are low adherence to journalistic standards, government influence, and an evolving, congested media landscape driven by tabloidization and profitability. As crises unfold, the government functions as the principal source of credible information. It can use the media as a “force multiplier” by releasing information that fits its agenda, incentivizing news narratives that correspond with official accounts of an unfolding crisis. Another key development complicating the media’s role and behavior during inter-state crises is a growing and diversified space for information transmission. Earlier, there were fewer newspapers and television channels, Internet access was limited, and editors had more exacting control over published content. The arrival of new media has altered the landscape significantly through real-time digitized content. Advances in technology have generated new delivery mechanisms resulting in more coverage and more ways for consumers to access information. A byproduct of this development is that less money is spent on news-gathering, which impacts the quality of information being transmitted, effectively resulting in the generation of more opinion than news. With economics driving content and a shrinking of the traditional 24-hour news cycle, the emphasis is on quantity over quality, and who breaks the news first. This has led to a tabloidization of the news, with content and form aimed primarily at attracting and retaining the highest readership/viewership. A study published by the Stimson Center earlier this year supports these conclusions, finding that the transformation of the news landscape has contributed to the media becoming more multifaceted in crises. Media is able to prime opinion through reporting, which can help inform and shape public discussion on India-Pakistan crises and crisis decision-making. This role enables media to affect public opinion and catalyze the foreign policy decision-making process — especially through negative coverage — but ultimately does not substantively impact policy-making. Thus, although the media clearly plays an important role in framing the news during inter-state crises, coverage is largely determined by restraints imposed or allowances made by elite decision makers. The result is that media typically reinforces clear policy action or, in the absence of resolute political leadership, will frame information to support a particular course of action and government policy. 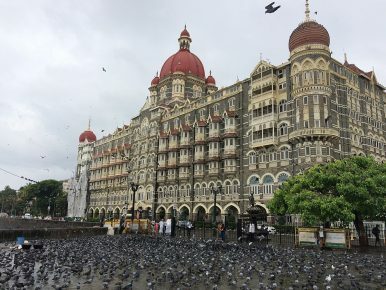 The 26/11 anniversary is a helpful reminder that shifting dynamics of stakeholders in inter-state crises merit renewed attention. Greater understanding of the media’s role during inter-state crises becomes even more important in election seasons, when any domestic audience pressure effect is likely to be most poignant. India is approaching a critical national election, as is the United States. Hannah Haegeland is a South Asia Analyst at the Stimson Center in Washington, D.C. Ruhee Neog is the Director of the Institute of Peace and Conflict Studies in New Delhi. "Nation comes first." A new euphemistic refrain emerges in India.